One day sooner than we think, there will be machines that can detect your every desire, preference and prejudice. There will be no Facebook ‘like’ button, and Yelp consumer reviews will look quaint. We won’t ‘Search’ for things on Google, and teens won’t have to tell us their favorite entertainer through a Tweet. People will just live. Everything they can imagine wanting will be available not long after they ask for it. They will never push through screens of things they don’t like, just to reach the things they do. This is the promise of Artificial Intelligence, and that eventual reality will transform the Product Managers into the control centers of consumer products companies. 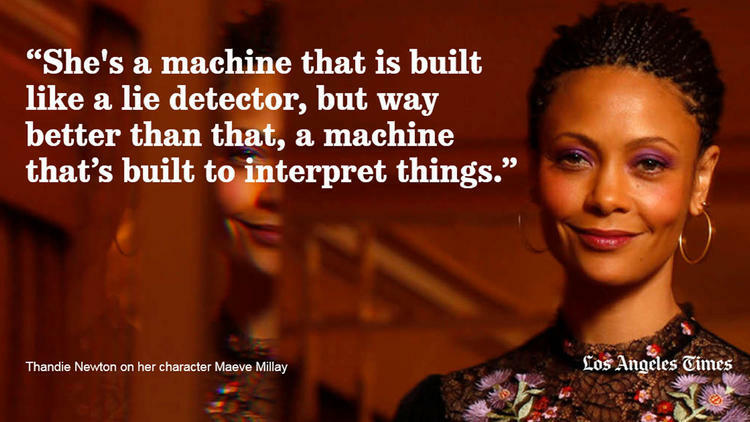 The Maeve Millay character in HBO’s remake of Westworld (starring Thandie Newton, Ed Harris, Evan Rachael Wood, James Marsden and Anthony Hopkins) has an Artificial Intelligence that is so finely tuned, it can detect your mood, hometown, and shoe size before you can finish saying the word hello. Companies around the world are racing ahead to create AI this accurate at analyzing people just that deeply. When an Artificial Intelligence this powerful is focused on product planning, then connected to the supply chain, we can anticipate the consumer’s needs immediately, produce the product through some combination of rapid assembly and 3D printing, then have it sent to the consumer in a very short time frame. What does a Product Manager do in this scenario? Most will be freed from the tedious tasks of rounding up votes about a product’s features, managing the politics of getting everyone on the same page, and coordinating the implementation of a finished product. There will be little need for them to try and become data scientists, as the machines will be more powerful than room full of math PhDs anyway. The Product Manager will focus on scanning the horizon for unanticipated societal impacts on demand (like massive hurricane bringing flooding to an area) and the financial implications of the product’s creative options, as well as dealing with fine granular creative interpretations of what the machines told them that people want. Imagine seeing someone on a popular show with a pair of L.L. 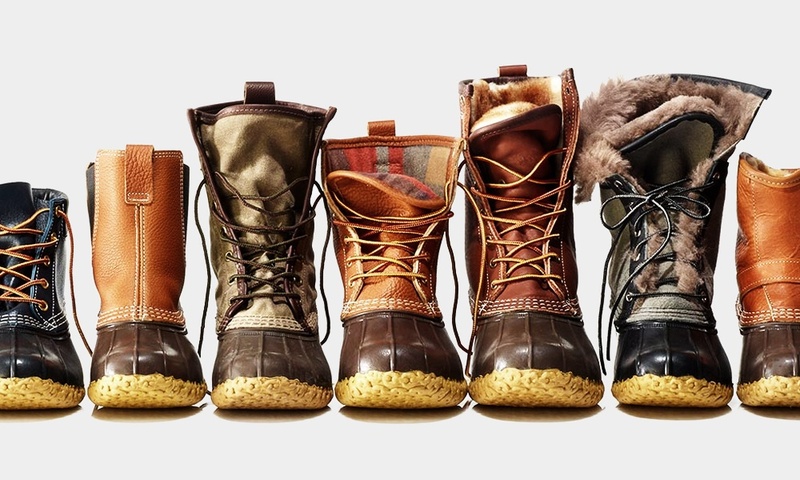 Bean Boots you admire. You tell your personal AI that you are merely thinking about buying pair. The AI would comb the world for every kind of similar boot, that everyone who matches your taste has every expressed interest in buying. Then the AI might assess every kind of material available, and every dye that matches your perceived color preferences. The AI might uncover every 3D printing manufacturer capable of making the boots to the specifications required by L.L. Bean. Instead of forcing you to choose, the AI will select the optimal way to deliver the product to you, whether its pickup at the nearest UPS Store, or delivery to given location. In this case, the Product Manager spends a lot more time maximizing outcomes, by playing with creative aspects of the product and analyzing financial projections. America is in a race for the future of product management. China is the competition. Since many of the most successful consumer products are made in China, the country and its businesses have had a integral role in the product management process. Now, China is determined to lead the world in Artificial Intelligence, and see AI as the best way to take control of the process of defining hit products, instead of simply manufacturing the products conceived by intuitive processes by companies in America. In the past 30 years, the high growth manufacturing sector has propelled China’s economy, employing hundreds of millions of people, and remaking the every aspect of Chinese society. However, the dynamic Chinese manufacturing sector has slowed down in recent years. The leading thinkers have persuaded the Chinese government that advanced technologies, especially artificial intelligence, are the best way to step in front of America, and take control of the products that China designs and manufactures anyway. A lot of the Chinese vision for AI will focus on anticipation of human needs and preferences for consumer products, reducing product planning times and coupling product design more closely with consumer demand. The Chinese government has jumped behind the concept with considerable force, recently announcing a sweeping vision for global leadership in the development of Artificial Intelligence. The goal is to surpass the advanced AI in the West in less than 36 months, and lead the world by 2030. The AI China is determined to develop approximates that shown in the remake of Westworld, starring Anthony Hopkins. For this reason, I call the Chinese vision for AI, Eastworld. Product Management and E-commerce will be two areas where the Chinese initiative will have a near term impact. Baidu, Alibaba, and Tencent, the country’s showcase companies, are leading the charge on applications that predict consumer sentiment. All are pouring massive resources into AI development, that easily rival anything in the U.S. When Product, Brand, or Marketing managers tests products or conducts research, there are many analytics software platforms they can use. But, it’s all after the fact, measuring consumer sentiment related to products that have already been conceptualized. The modern Product Manager cares about the coming age of AI, because it puts analytics software on the front end of the process. The era of instinctive, gut feel approaches to determining product concepts, will quickly become obsolete. In these early stages, AI will center mostly around ways to scan social media, analyzing sentiment about your product. In later stages, every Product Manager might have an omnipresent screen, making decisions about product features with constantly changing estimates of marketshare impact, like a high-speed trader in the financial markets. In the ultimate future, AI will help the Product Manager tap into an ocean of data about people to determine what kind of product consumers will want before they want it.